WPTouch Pro mobile plugin review - worth the investment? 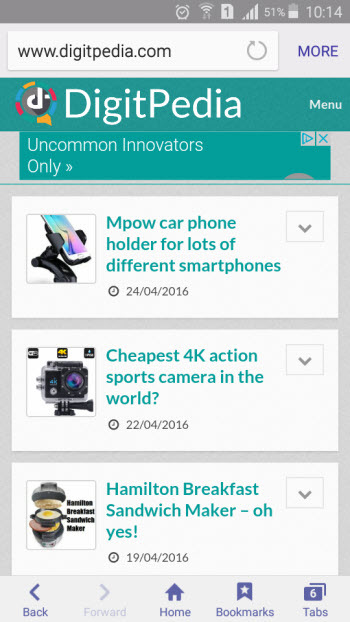 Review of WPTouch Pro mobile plugin – worth the investment? After using the Wordpress plugin for a bit here are my thoughts on whether it is worth paying for the pro version. Back in April 2015 a new mobile-friendly algorithm was rolled out by Google. Ever since if your website hasn’t been effectively mobile friendly, it will probably have resulted in you losing traffic. And it’s not only about being mobile friendly but doing it well, with a nice looking and user-friendly mobile version. How much traffic you can lose depends on the niche you operate in. Some niches have high visitor numbers from mobiles, others have very low. You will need to look at your own traffic stats to see how it may affect your business. Mobile devices aren’t going anywhere, as webmasters we can expect the number of visitors who land on our websites using a mobile device to continue to increase. Meaning even if you only get a small percentage of visitors from smartphones and tablets it still makes sense to do a really good job with the mobile version of your website. The good news for WordPress users is all it takes is to activate a plugin and change a few settings to suit. WPTouch Pro mobile plugin by BraveNewCode Inc. When the news was released about the google algo update I decided straight away to improve the mobile experience my website visitors experienced. Previously I had tried out a couple of free WordPress Plugins which did the job fine, with their limitations of course, they are free after all. But it was time to put some money in and take advantage of the opportunity to win some valuable traffic, so I paid for the WPTouch pro license. I’m involved with a few other websites other than this so I’ve now used it multiple times. I have been using the pro plugin for a long time now, and here I share my thoughts on whether I think it has been worth the investment. Or whether it is ok to stick with free alternatives. Once I had paid for the plugin I quickly installed it and got it live. Downloading the files and making it active was as easy as you’d want it to be. Then it took me a couple of hours to go thru all the settings, choose the theme, modify it, insert adsense and generally tweak it to my liking. Overall it was fairly straight forward, I only had one problem which was with a plugin not deactivating for mobile users. The WP Touch official help pages gave me the answer and I managed to sort it without having to contact their support staff. You get a choice of themes and can customize it to change background color, pick a logo and tweak lots of little bits to make it suit you. There are also extensions you can use like a cache and ad manager. If you are reading this review on a mobile device then you will already be viewing the mobile version, awesome! How does it look? If you aren’t on a mobile device and looking for a real life example here is a little photograph to demo for you how it looks. Complete with Adsense inserted at the top but color blended so it isn’t too ugly. I also have Adsense at the top and bottom of individual blog posts. Overall I’m really pleased with it, exactly how I wanted. The design is simple, with the branding colors, my logo and good space for ads. On posts it also has neat and tidy social sharing buttons as well as related articles. The same goes for the other websites I have installed it on too, they look just as neat and tidy as this. I’m confident now that visitors who land on any of my blog posts, news stories or the homepage, will have a good user experience. I like to keep things simple and not frustrate people, I feel like I have achieved that with this plugin. A positive user experience is a massive tick. That just leaves it down to me to create good content. I also believe I have now satisfied Google’s algorithm. There is a Google developers tool you can use to see if your site is mobile friendly, if you aren’t sure test yours now. Mine is saying this website is. Is It Worth Buying? Free vs Pro. You could just stick with free versions if you wanted to. But it depends how serious you are about your business. This is what I do full-time for a living, so putting what is a relatively small investment in is a no brainer. But if you run a hobby website then perhaps sticking with free options may be more worthwhile. The limitations of free plugins are worth thinking about. I used to use the free version of WP Touch but actually wish I had gone to the paid version sooner. I’m slightly disappointed it took the news from Google to give me a shove to buy it. With the free version I didn’t have adsense showing, meaning mobile visitors were only monetized with affiliate links. I don’t believe the free version has an option to insert ads which is why I never did it. As you would expect, since moving to the pro version my Adsense revenues are up. By 40%! In the end this premium plugin has more than paid for itself! This is another thing to think about, by “saving” money going for a free option, are you actually costing yourself revenue and giving a poorer user experience, thus in the long-term hurting yourself financially and reputation wise. The extra themes, extensions and support you get by going pro also make it worth the money. So all-in-all, as you can probably tell from my review, I’m very happy. Would I recommend getting WP Touch Pro to other people who use WordPress? Absolutely! More options, better user experience, higher revenues and Google algorithm is satisfied. The best results that could be hoped for, lovely! Thanks for reading this review, I hope it was useful to you. Any questions about it please tweet @moneycortex or contact me using the menu at the top of the page.